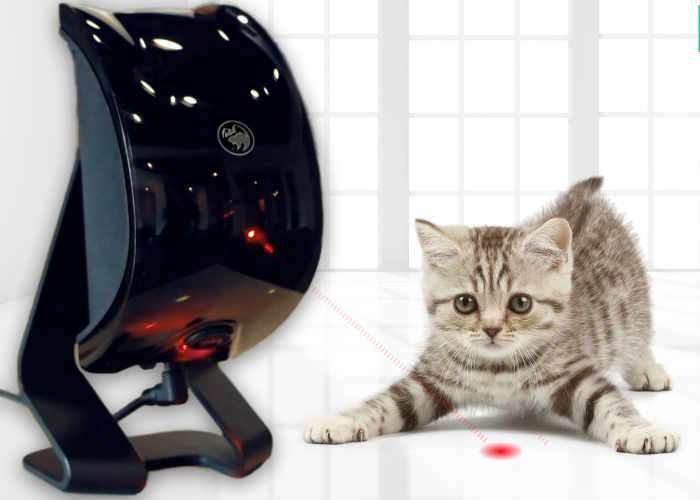 Angry Lychee based in Seattle has created a new intelligent pet companion they have called the Felik, which is equipped with a laser to keep your pet entertained while you are away. FelikIs being marketed as the first artificial intelligent pet toy and has taken to Kickstarter to raise the $30,000 the team requires to move into production. Watch the demonstration video below to learn more about Felik which comes complete with its own companion application enabling you to take control, from wherever you may be. Most pet owners don’t have time to play with their furry pals. And, just like human children, animals may turn to destruction and overeating to cope with their boredom. In severe cases they may even become depressed. Felik was created to provide quality stimulation for pets even when their owners are away. Using an infrared-sensitive camera combined with an advanced software algorithms, Felik can anticipate the predatory movements of one or more animals. It then reacts by moving the laser in a natural way to simulate real prey. Most existing laser pet toys attempt to interact by using unnaturally pre-programmed or random patterns of motion that are overly predictable to the pet. Others require a human to manually interact with the toy in real time and often require the simultaneous input from an app driven mobile device. Felik does away with all these limitations. The most advanced artificially intelligent pet toy on the market today, Felik provides hours of playful entertainment and activity without any human input required. For more information on the new Felik jump over to the Kickstarter website for details by following the link below.